Most people by now will have heard of Liane Moriarty’s Big Little Lies, famously adapted into a television series starring Nicole Kidman. Alas, I’ve not managed to see the adaptation, but I loved the book on which it was based. And now I’ve loved Moriarty’s Three Wishes, originally published by Pan in 2004 and republished by Penguin in 2016. Three Wishes was written as part of Moriarty’s master’s degree at Macquarie University in Sydney and was her first novel. Ms Moriarty’s light touch is again an absolute winner, so we can empathise and sympathise with each of the three leading characters in turn. The opening pages are told through the voices of various onlookers, mostly fellow diners and staff at the restaurant where blonde-haired Lyn and Cat, and redhead Gemma are out celebrating their 34th birthdays. What starts out as a joyful and noisy celebration turns suddenly into a hideous fight, disturbing the peace of everyone in the busy Sydney seafood restaurant and ending with one of the blondes throwing a fondue fork at the redhead (who is pregnant), then fainting flat out on the hard floor. In most novels this would sound like sure-fire screen adaptation material; but there’s a catch. One of them said it was fantastic being a triplet. She just loved it! The other one said it was terrible. It just made her feel like a mutant or something. And the third one said it was nothing, no big deal, no different from being any other family. And here we see just what the problems will be in making a screen adaptation of this tale of a year in the life of identical blondes Lyn and Cat, and their non-identical triplet Gemma – apparently this is scheduled to start production in 2019, and we’d love to know who’s going to be cast in the three lead roles. So many of the scenes made me laugh out loud, I had to stop reading this on crowded tube trains. The sisters have followed different paths in life: efficient and organised Lyn owns and runs the highly successful Gourmet Brekkie Bus, has taught aerobics, and is married to Michael, with a teenage step-daughter and a toddler; Cat is a marketing executive in a chocolates business, and, although they’ve been trying for a baby, she has recently learned that her husband Dan has had an affair; and Gemma is a bit of a drifter, constantly changing boyfriends and jobs, and regularly acting as a paid house-sitter rather than having her own home. While Cat and Dan’s marriage is struggling, Gemma is getting on very well with a new boyfriend, locksmith Charlie, and quite hoping that this time she and he will get past the six-month mark. The sisters’ lives entwine and get confused, and gradually their long-hidden secrets are revealed. Their long-divorced parents are bemused onlookers trying to help and offer advice and support, while at the same time rebuilding their own relationship. Moriarty creates many great characters in this book, beyond the triplets and their parents and partners. There’s Lyn’s 15-year-old difficult step-daughter Kara, and Kara’s annoying mother Georgina, constantly changing arrangements at the last minute; the girls’ grandmother Nana, a feisty, “annoyingly spry” widow; and marriage counsellor Annie. Three Wishes isn’t a book with fairytale, all-wishes-granted endings for all the leading players: Cat breaks up with Dan but finds a new direction and purpose in her life; Lyn struggles to go against all her natural controlling instincts and also find a way to get on with Kara; and Gemma isn’t welcomed by Charlie’s family, with whom she’s clearly going to feel an outsider for a very long time, but does reveal a hidden talent for making money on the stock market, and tells the truth to her sisters about her former fiance Marcus, how he treated her, and what she actually felt when he died. Life isn’t going to be plain sailing for any of the three young women; relationships will always be difficult and volatile amongst them and with their friends and family. Perhaps a sequel set some years on would be welcome! This is the final offering from the wonderful novelist and poet, Helen Dunmore, who died last June. And what a fine last novel it is. I was gripped right from the outset when the author explains what led her into wanting to find out more about one of the characters, Julia Elizabeth Fawkes; after seeing her grave in a Bristol cemetery, with the inspiring headstone, bearing the words “Her words remain our Inheritance”, Dunmore first wanted to find out more about her and then imagined the world she inhabited. Julia is central to the novel, but it is her daughter, Lizzie, whose moves we follow intensely, taking us with her on a dangerous journey with her husband John Diner Tredevant. Diner, as he’s known, is a property developer in Bristol in 1792, just as the French Revolution is coming to a head, with disastrous consequences for the Bristol property market, while Lizzie, his young wife, comes from a revolutionary background, and at first supports the changes in France. Lizzie is torn between her feelings of duty and loyalty, both to her husband and to her mother and stepfather Augustus. When Julia dies after giving birth to Lizzie’s half-brother Thomas, Lizzie feels compelled to take care of him, despite her knowledge that Diner strongly disagrees with her. Over the months that follow, matters come to a head for Lizzie and her loved ones, and she finally learns more about Diner and his first wife, who was French, and whom he’s told her has died in France. As ever, Dunmore creates fully credible characters, from Lizzie and Diner to their servant girl Philo, Julia and Augustus, their servant and companion Hannah, and Augustus’s friend Caroline Farquhar, who has plans of her own for baby Thomas. The background of the French Revolution threatens and rumbles, sometimes in the foreground and sometimes quietly in the background, making lives which are unstable already even more so. As winter approaches and settles, life becomes more and more arduous for Lizzie. The descriptions of life in Bristol in 1792 are so vivid I really felt as if Dunmore had been there and experienced the cold hard winter days herself, and understood exactly how tough life had been for Lizzie, isolated in her brand new house on a street which Diner has been developing at great personal cost, both emotional and monetary. His schemes fail. In the wake of the Revolution, workers are laid off and not replaced, and his grand plan cannot be completed. His own house, built to be a show home of sorts, has its furniture removed. Dunmore was noted for undertaking intense research, absorbing it and then using it to breathe life into every tiny detail in her novels. In The Siege she brought to life the appalling war-time years in Leningrad when hundreds of thousands of people were trapped within the city for long months. In Birdcage Walk, it’s the dual background of the French Revolution and the Industrial Revolution, with its creation of new levels of wealth and poverty, which comes to life in the pages. Diner’s increasingly menacing presence and Lizzie’s bravery are compelling forces, working together and against each other by turns. And we feel Julia’s presence through Lizzie long after Julia has died. I shall miss Helen Dunmore’s piercing intelligence and humanity, and her ability to weave life and magic into imagined people in real situations, and real people in imagined situations. For now, it’s time to turn back to her earlier works, starting with Zennor in Darkness, and reread them, savouring each in turn. Louise Redmond is back in Ireland, where she was born and grew up until her mother, Marjorie Redmond, persuaded her to go to England to study music. She’s no brothers or sisters and she’s never known her father: all her mother’s told her about him is that he was an Englishman named David Prescott, who left Ireland before Louise was born. Her much-loved stepfather, Dermot, has already died, and now the death of her mother after a very short illness leaves poor Louise with many unanswered questions, trying to sort out who she really is and what to do with her life. And she’s doubly bereft: Sandy, her husband of ten years, has left her. As Louise tries to make sense of everything, she’s haunted by shadows of memories from when she was a tiny child, memories she finds unsettling and threatening. She seeks help from her mother’s older brother, whom she barely knows, and accidentally stumbles upon what may well be the key to her life. But there are lots of twists and turns on the way, before she eventually discovers the truth about her parents and her family, and is able at last to achieve a greater peace with herself and come out of her mother’s shadow and into the light. I read this over the course of two long train journeys, and was completely gripped. 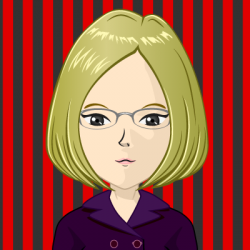 Kate McQuaile has created a rich variety of characters, who weave their through the complexities of the plot. I loved the descriptions of Louise’s journeys through different parts of Ireland, from the rich suburbs of Dublin to rural Kerry to find the family she never knew she had. She has the love and support of her oldest friend, Ursula, and her stepsister, Angela, both of whom are unfailingly kind and generous, but it’s a difficult journey which Louise is on and many truths and lies have to be uncovered along the way, both from other people to her and also from her to other people. Should people ever tell lies or hide the truth in order to be kinder? These are tricky matters and many of the characters have got it wrong at times; sometimes their motives have been far less than kind, too, and more to do with self preservation. In the end even Louise has some truths which she understands are best not told, not just to protect herself but to be kind to other people. But finally she has achieved a greater peace than she could have dared to dream of less than a year before. A terrific first novel – I strongly recommend it. A huge vote of thanks to Beth Miller’s publishers, Ebury Press, for the timely arrival of this review copy. I’m struggling with slipped discs and spent 48 hours unable to do much except drink tea and read. 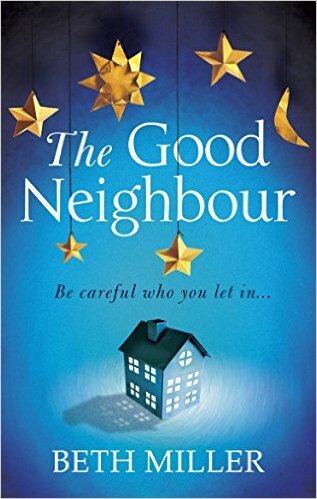 And what better, more gripping read could I have had than Beth Miller’s second novel, The Good Neighbour. It’s a compelling, well-written novel about a couple – Minette and Abe – who have a 9 month old baby – Tilly – and have been living with neighbours who constantly complain about the smallest noise emanating from them, making their lives unbearable. So their relief when new neighbours move in and are friendly is enormous. Her new neighbours are Cath and her two children, Davey (8) and Lola (4). They are a complicated family – Davey is in a wheelchair, suffering from Duchenne muscular dystrophy, while little Lola has multiple allergies, Cath explains. Andy, her husband, is working away as a driver, and they miss him and talk frequently on Skype. Minette gets rapidly drawn into Cath’s world, joining her in training for a fundraising triathlon, pleased to have a change from the routine of looking after the baby while her husband is at work. And Minette is also drawn into much closer relationships with other neighbours, including handsome Liam. The readers soon realise that all is not well with Cath’s family – she is extremely keen to extract information about everyone else but very good at withholding information about herself and her family. And a series of events leads Minette to get enmeshed in the web of deceit which Cath has drawn around them. I don’t really want to give away more detail about the plot because it’s such a great tale, full of twists and turns, which keeps us in suspense throughout. It’s a terrific read which had me gripped. It was all too easy to believe in Minette’s boredom and annoyance at her endless walks to the toyshop or the park, trying to keep little Tilly quiet (and to retain her own sanity), wondering whether to go back to her job or to give it up to become a permanent stay-at-home mother. It’s a dilemma which so many people face, and for Minette the first months have been even more difficult because of her constant worry about her neighbours complaining. Cath is a wonderful creation – we hear her thoughts and her worries, her feelings of anxiety, and soon we realise that something is not right, and that she is not exactly what her new neighbours think she is. She covers her tracks, even to herself, really well, but at times things happen, inevitably, which are beyond her control and her complicated chains of stories begin to snap. Beth Miller has again come up with a book which left me wanting more. There are lots of unanswered questions left at the end – could there be a sequel? I really hope so, as I’d love to hear what happens next to so many of these entirely believable characters.